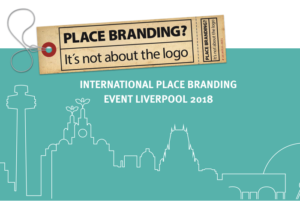 Join us in Liverpool for the Place Branding Event of 2018. As cities grow in size and importance, the image of the city is coming under the control of savvy communicators who know what it takes to create a successful destination brand. A new breed of ‘city stylists’ and ‘cool coordinators’ are shaping perceptions. A few years ago, when global urbanisation passed the tipping point of 50%, a new era was heralded: for the first time in the history of the planet, more humans were living in urban areas than in the rural environment. Cities have always been key focal points for developing culture, trade and politics as wealth, prosperity and communications propel us ever-forwards through history. “Like a piece of architecture, the city is a construction in space, but one of vast scale, a thing perceived only in the course of long spans of time.” Kevin Lynch, The Image of The City, 1960. Cities are complex organisms that shape-shift across history, sometimes influencing, or being influenced by, the fate of the mother state. Cities are dynamic environments, constantly in a state of flux, renewal, growth, expansion, and with numerous stakeholders, all with a vested interest in how the city functions and also how it is perceived at local, and global levels. Today, perhaps more than ever, cities are competing with one another. In the age of the digital nomad, where borders are soft, and employment is location-independent, cities are competing to attract their future citizens and to retain top incumbents. Cities have become brands, many positioning themselves as post-industrial creative hubs intent on seducing the mobile and fickle creative classes. As economies depend more and more on intellectual property, these city brands have had to up their game to woo potential citizens. Architecture has always been one of the key tools in city branding and provided a boon for so-called ‘starchitects’ as each city ticks-off their ‘must-have’ lists of Hadids, Fosters, Pianos, Koolhaas’s and Liebeskinds. “Architecture is central to this urban rebranding, the skin on a town or city’s face.” Tom Dyckhoff, The Age of Spectacle, 2017. By attracting human capital in the form of intellectuals and artists, thinkers and makers, cities can become hotbeds of innovation, generating creative capital that in turn stimulates further development and economic growth. Attraction, thus, is a key aspect in enticing new burgers to settle down and set-up shop. A strong city brand can go some of the way in attracting interest. However, it is the ‘content’, the way in which a city can fulfil its promise, that is the ultimate litmus test. Hype can grab attention, but if there is little to substantiate the claim, or a lack of underpinning, then attention will be cast elsewhere and one only has to look at the history of utopian communities, such as Robert Owens’ New Harmony, in Indiana, USA, for evidence of how high ideals and promises vs actuality aren’t always guaranteed to produce a successful outcome. So, this begs the question: who owns the image of the city? Many municipalities will claim that they own the image of their city. However, in today’s online world, Googling images of a city will often deliver swathes of visitor-generated content that reflects how the city is perceived – not necessarily how the municipality wants to portray it. As with many brands – the true owners are often not the brand itself, but its consumers. In 2016, I attended a forum in Rotterdam, discussing precisely this topic. Google searches on the term ‘Rotterdam’ produced unending images of the city’s edgy architectural icons. However, the people, and the culture of the city were rarely portrayed. ‘Betonville’ – was my own personal name for this phenomenon and the city’s overt leveraging of edgy architecture – a term that was somewhat validated by a speaker from the municipality’s city marketing department, who stated: “it’s all very nice, but concrete has no soul, and we miss the balance of the human element in the portrayal of our city.” Consequently, a strategy was devised to populate the citybranding image bank – part of the marketing Toolkit – with manifold shots of people on the streets in an attempt to display the character and multi-ethnicity of the city, on a human scale. However, this is all still very much in the ‘self-promotion’ category, pressing the ‘send’ button and launching one’s desired vision into the ether. The narrative is much more convincing when an independent third-party shapes the perception and, in the past, this would have entailed press junkets, plying reporters with lavish food and accommodation and hoping that they would be favourable to the cause. Those days are long gone, however, partly due to the breakdown of conventional media giving rise to new breeds of independent journalists and writers. Furthermore, to corral this new breed of reporters, bloggers, vloggers and foodies, still requires a well-considered strategy and coordinated vision if the city in question is to be represented optimally. Rotterdam has been one of the most successful cities in creating a buzz around its ongoing development in recent years. Always the poorer, less glamourous relative of long-term show-stopper Amsterdam, Rotterdam has had to fight damn hard to emerge from the shadow of its northern neighbour – now a mere 25 minutes away by regular high-speed train from the stunning, new, swoopy Rotterdam Centraal Station. The city’s previous claim to fame was based around Europoort – the sprawling harbour area east of the city stretching some 40km to the North Sea coast. It was this 24-hour hard-working mega-port that distilled the rolled-up-sleeves and no-nonsense, down-to-earth spirit that the Rotterdammers effortlessly embrace and embody. That, and the resolution to rebuild the city after it was devastated by bombing raids during WWII. The official city slogan ‘Make it Happen’ is firmly in tune with that characteristic. Now, as the modern city centre seeks space to expand, the former dockyards and industrial wharves are being turned into innovation docks, maker spaces and places of industrial-spectacle-verging-on-art as personified by artist and innovator Daan Roosegaarde’s Dream Factory in the city’s upcoming Innovation District M4H. Despite the huge challenge in re-tuning the city’s somewhat drab industrial image into something altogether more melodious, it can have escaped nobody’s attention that Rotterdam is sweeping away the title of ‘must-visit destination’ across a plethora of media, varying from CNN and Huffington Post, to Vogue and The Guardian, throwing some serious shadow on Amsterdam, it’s old, historic competitor. It seems like every day the city is popping up in different media – a report in Spanish on the BBC World website or films on German TV around resilience and sustainability in the harbour city. 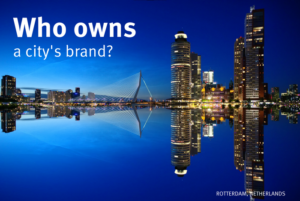 This success is largely attributable to the efforts Rotterdam Partners – a focussed and dynamic organisation driven to put the city on the map. 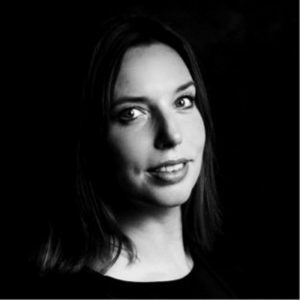 Moreover, within Rotterdam Partners, it is International Press Officer, Kim Heinen, who is being lauded for a strategy that makes other cities and destinations sit up and take notice. She has been referred to as the ‘city stylist’ by local blog ‘Vers Beton’ (fresh concrete): a title that is entirely appropriate. Then what is it all about? That’s the provocative question we’ll be debating with top place branding experts from around Europe at the International Place Branding Event Liverpool 2018 on May 31-June 1. 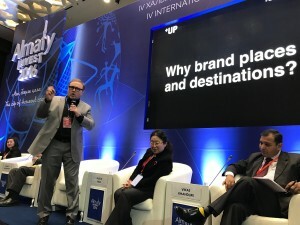 UP is organizing the event, together with Marketing Liverpool, which aims to stimulate discussion about place branding and destination marketing. Featuring speakers from well-known cities and municipalities across Europe, the event will tackle the question that has everyone guessing: what goes into the recipe for a successful place brand, beyond the logo? The event marks the 10-year anniversary of Liverpool’s year as European Capital of Culture, which has been a hugely transformative award for this vibrant city. Since 2008, Liverpool has seen a year-on-year increase in visitors and won external acclaim for its innovative place branding work. Place branding experts from Amsterdam, London, Barcelona, Hamburg, Rotterdam, Stockholm and Liverpool itself are among more than 12 speakers who’ll present their ideas about how to go about creating a long term strategy for places and destinations in this global market. A series of Ted-style presentations (18 minutes long) will be followed by lively Q&A sessions with the panel to let the audience debate and question what makes a successful place brand. 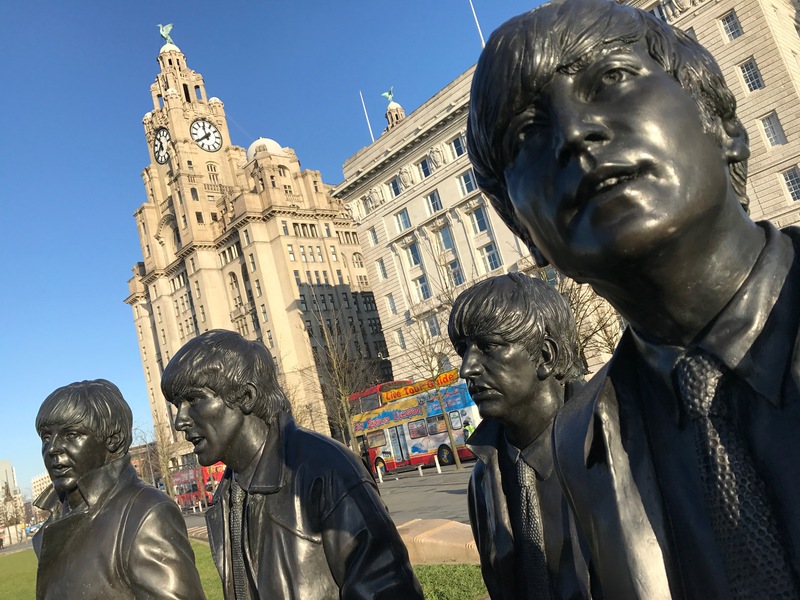 “It’s an industry which tends to provoke strong views and we don’t expect everyone to agree with each other, so we’re looking forward to hosting a punchy, fascinating couple of days,” said Chris Brown, director of Marketing Liverpool. 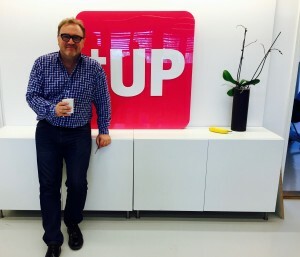 CEO of UP, Julian Stubbs, said: “Can cities and places be marketed like regular brands? We’ll hear the views on that question and more from some of the leading European cities and practitioners.” Place branding is an industry which is changing at an exceptional pace, thanks to reasons as varied as growing connectivity, the prevalence of social media and even cities’ own success at marketing themselves. Over two days, attendees will hear from some of the leading voices in place branding and take part in sessions designed to challenge conventional wisdom and determine what the future holds and what destinations need to do. We’re expecting more than 200 attendees from European municipalities, destinations, cities and academic institutions. Will you be one of them? Read more about the speakers and programme. Places & Brand Reputation. How Fragile? New Introduction to Original Blog Post: June 5th 2017. It’s been a year since I gave a speech in Brussels about the impact terrorism is having on our cities from a brand and marketing perspective. It was called ‘Places & Brand Reputation. How Fragile?’ In light of the recent terrorist atrocities in Manchester and London I thought it appropriate to add to the original post, which is below. One of my main points about the impact in Brussels was that the city needed to orchestrate a bigger response to what had happened. People were still staying away from the city 3 months after the terrible events in Brussels of March 22nd 2016. Tourists didn’t feel safe and didn’t have the confidence to return to the city. 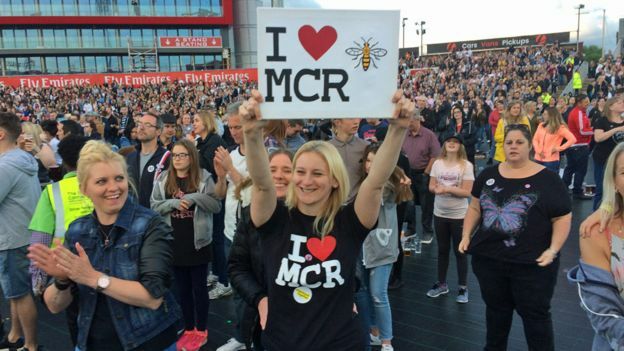 Then look at the response in Manchester. The One Love Concert by Ariana Grande and a host of artists was simply outstanding. The main point was that they were doing something to show and restore confidence. Getting people involved, taking personal risk and most importantly taking active involvement and control. It was impressive. Cities that respond in this way I believe recover far more quickly and find a way to unite and become stronger after such a terrible event. After this last two weeks, everyone has become a little closer to Manchester. Original Blog Post From June 2016. Brussels After the Bombs: Places & Brand Reputation. How Fragile? The bombings in Brussels on 22nd March 2016 had a devastating impact on the city. Bombs at Brussels airport and a metro station in the city killed 32 people from around the world with many more injured in these attacks. The city has not yet returned to normality in a security sense. However, the impact goes beyond just the security issues, impacting the city’s economic life. The country’s tourist industry is in despair. Hospitality businesses in the northern Flanders region say revenues are down by a third since March 22nd, according to a survey by the Unizo employers’ group. But what should the city do about trying to repair it’s reputation to bring tourists back to the city? 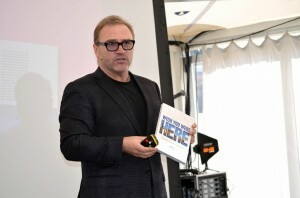 I was invited to give a keynote speech in Brussels on the topic by the Belgian marketing association STIMA. They wanted me to focus on the damage done to the city’s brand and reputation and to give my thoughts on the long term impact and how the city should respond. The date for the speech was June 23rd, a huge co-incidence for me, as this happens to be the day of the UK EU referendum, and here I am a Brit in the capital city of the EU itself. The first thing to realise is that Brussels is a complex place. Three languages (if you include English) two cultures, French and Flemish, and nineteen mayors apparently. I google the Brussels logotype and end up with a number of differing options. Which Brussels are we talking about? In preparation for my speech I do something that always gives me a little important insight. I conduct my own poll of just 150 diverse friends, from different backgrounds and different nationalities, asking them a very simple question. Brussels: top of mind give me a single word that sums it up for you. A difficult question perhaps, but the answers were revealing. I build these into a word cloud for my presentation (More on this below). I’ve always liked the expression Never Waste A Good Crisis. An Icelandic colleague uses it when describing the devastating ash cloud that blanketed Europe back in April 2010. If you remember it, Europe went into lock down. Planes stopped flying. News media flooded into Iceland, broadcasting images of the volcano, Eyjafjallajökull, spewing ash into the sky. After about a week the news media got tired of broadcasting the same images and the Icelanders realised they actually had an opportunity. They had been trying for years to get the international news media to visit their island and here they were. They started getting the news media to cover other aspects of the island nation – other than the volcano. These more positive images were beamed around the world. Not so bad. The following year Iceland launched a fresh and bouncy promotional campaign called Inspired By Iceland. They encouraged people to share their own Icelandic stories. It proved a success. Visitor numbers before the volcanic eruption in 2009 had been under half a million. By 2013 they had risen to over 800,000 with average spend per visitor up as well. A crisis can also offer an opportunity. The second world war can certainly be considered a crisis but just look at what came out of it. We wouldn’t have modern computing if it hadn’t been for the developments on both sides of the Atlantic during world war two. The Americans and their ENIAC, at the University of Pennsylvania and the British with their Colossus at Bletchley Park. Radar also came out of the second world war, and out of radar came the development of microwave cookers (after a technician figured out what was cooking the food he’d left on top of an early radar set). We even have the second world war to thank for the creation of Fanta, the soft drink. In December 1941, as America entered the war, the Germans were denied supplies of the Coke secret ingredient syrup, 7X. Being inventive, the Germans realised they had access to oranges, as they had occupied north Africa, and so they invented a new soda drink – Fantastik, eventually shortened to Fanta. A crisis can also offer an opportunity. So what about cities and places? New York, 1976 and the city and state are reeling from the oil crisis, a devastating crime wave is rampant and, to cap it all, they are on the verge of bankruptcy. President Ford refuses to bail them out. New York is in a deep crisis now. But being New Yorkers they came up with a plan. They needed to get tourists to come back. Back into the restaurants, theatres and hotels. They hit on a strategy based on the idea market today, visitors tomorrow. But they need a symbol. Something that sums up the spirit of New Yorkers. They turn to one of the world’s great graphic designers, Milton Glaser, who is a true New Yorker himself. They asked Milton for a device that can be used with the campaign. Out of that is born the iconic I heart NY logotype. Forty years later and the city has never looked back. 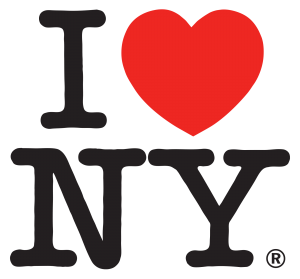 (if you are interested in more of the I heart NY story, go to our podcast interview with Milton Glaser himself: Podcast Milton Glazer). Another case, from personal experience, is that of Stockholm – where it took a crisis for the city to take action. In late 2003 my team was selected to work on the branding of Stockholm. It was a fantastic assignment to have won. Stockholm was a city I’d loved since I’d first time I arrived in Sweden ten years earlier and I’d always felt it had not been marketed as it should have been. It struck me that up until that point in time Stockholm had never truly needed to compete. If the city promoted itself and made an effort, it seemed to grow and prosper. If the city did no promotion and didn’t try too hard, it still seemed to grow and prosper. Everything for Stockholm was easy. So there had been no incentive to really compete. But in early 2002 two things changed dramatically. First, the dot-com crash and the associated problems of the telecom giant Ericsson. Stockholm suffered more than many other places in Scandinavia during this period and the city felt the effects of the melt down. Second, the globalisation of the world was well underway. With the growth of the Internet and lower costs of air travel, Stockholm was suddenly competing globally as well as regionally for tourism and inward investment. People and companies had more choice than ever. The city only began to get its act together when faced with these issues in 2002. I’m happy to say that ten years on the resulting work and positioning of the city as Stockholm The Capital of Scandinavia has helped get the city back on top. Today Stockholm is the number one tourist destination in Scandinavia, and the place most international companies choose for their headquarters in this part of the world. Finding a viable and strong positioning for a place or city, a positioning that makes sense, and supports its marketing, can be invaluable in keeping the brand aligned with its true strengths. So a crisis can sometimes be a good thing. When considering the Brussels question and the recent terrorist attacks impact on the city’s brand image, some people might actually question whether a place is a brand at all. This is a legitimate question. But at their simplest brands are really just about what people think. If I say BMW, McDonalds, or Virgin Atlantic you’ll associate those names with certain values and expectations – both good and bad, but you will have perceptions. It’s no different with a place in that respect. Think of London, Paris, San Francisco or even Newark, New jersey and you will have certain perceptions influenced by a whole host of positive and negative interactions. And if say you know nothing of Newark (lucky you) then that informs how you feel about it as well. So places are brands whether you like it or not. They represent and stand for a set of values and expectations in our minds. It’s top of mind stuff that we are interested in at the initial stage. That’s why I like my one word test. That’s why I asked 150 friends to give me their one word for Brussels. Two topics dominated the responses I received. The EU and terrorism. A very distant third were more traditional topics such as The Grande Place, waffles, sprouts and Tin Tin. Brussels I feel is in a crisis. The EU association was overwhelmingly negative. It was associated with bureaucracy, red tape, excessive cost, pen pushers, politicians on a gravy train. Not exactly a very positive association for the city. Even more worryingly, on almost an equal level with the EUas a response, were words associated with the deadly bombings of 22nd March. Terrorism, terrorists, fear, tragedy, dangerous, bombs. It presented a clear picture. I believe if I had taken a larger sample of thousands of people the result would have been fairly similar. How fragile is brand reputation? How do you create a great brand? Well, great brands get great by doing great things. Making brave decisions, sticking their necks out and importantly sticking to their principles. In September 1962 the then un-known Beatles were desparately looking for their first number one hit. Their first single, Love me do, had failed to reach the top of the charts. The pressure was very much on them to produce a hit – and quickly. Their producer, the great late Sir George Martin, offered them a song he had. It was called How do you do it?. Martin promised them a sure fire number one hit record, and the fame, fortune and goodies that would follow. What did the boys say? They turned him down. They turned him down on the grounds that the record just wasn’t right for them – it simply didn’t live up to the standards they were setting themselves. How many brands given the same pressure to perform in the short term would really stick to their own principles and do the right thing for the longer term perspective? It’s a key question and one that sets great brands apart. As for How do you do it? the song eventually became a number one hit in the UK – as predicted – but for another Liverpool band called Gerry & The Pacemakers. The Beatles, well, they went on to rather greater things.